Like granite, quartz also comes in a wide variety of colours, but is man-made. It is made from 95% natural quartz; one of nature’s hardest materials. Quartz is noted for its consistency and durability. Quartz is a truly amazing stone. Offering a wide variety of colours and grains, this magnificent rock has been used in the construction process since time began. Likewise, there have been stone artisans such as Egan Stone that have specialised in its cutting, design and installation for generations (six, to be exact). Still, the features of quartz are as varied as the regions in which it can be found. As we are constantly striving to satisfy the discrete needs of our clientele, we import quality stones from all across the world. This allows us to accommodate nearly any design desire as is feasibly possible. While quartz is truly a beautiful material, it requires expert craftsman to bring its splendour to life. Our staff can accomplish this in an amenable time frame without sacrificing quality or reliability. 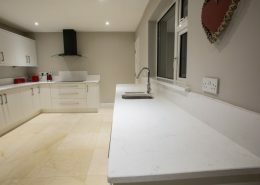 Additionally, we truly are able to fit any kitchen or bathroom surface requirements. 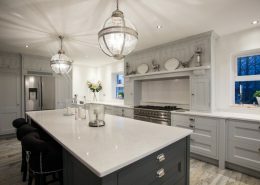 Therefore, it is just as easy for us to procure and fashion the correct dimensions for a walk-in kitchen countertop as it is for us to construct a large quartz table that will easily be the centrepiece for a dining room. Offering a variety of cuts, beveled edges and finishes, the personality of this ancient stone can be brought to life in a way that will truly last for years to come. One of the issues that many homeowners have encountered in the past is the fact that quality stone work is rather local in nature; that is, it is difficult to encounter a company that operates on a national basis. Thanks in part to our esteem in the industry combined with an ever-growing client base, we are happy that we indeed cater to every part of Ireland. No community is too far away and no customer is out of our reach. As opposed to offering but a limited number of stones and designs, we encourage all of those that are interested to visit our stockyard in Kilbeggan to appreciate the variety of quartz that we have to offer. 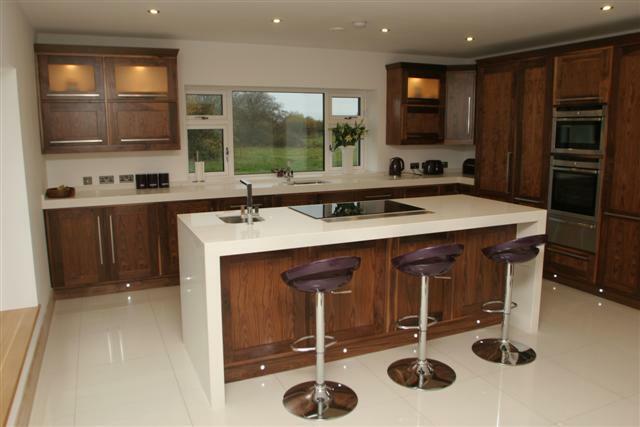 Or, our showroom can be frequented, as some of the most popular designs can be seen already installed. Either way, this allows our customers to choose a one-of-a-kind stone that will fit perfectly within their home. Our approach is simple: the needs of the customer dictate the design itself. 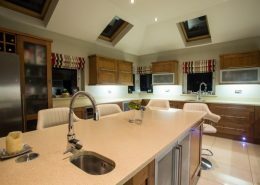 Thanks to our expertise and the professionalism of our staff, we are confident in our ability to provide unforgettably unique quartz work surfaces that can help transform a house into a home. Please contact us or drop by and visit our showroom for more information.